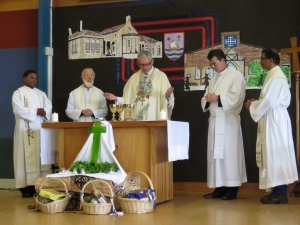 Masses, liturgies and celebrations of other special occasions throughout the year are arranged by the Director of Religious Studies (DRS) and Parish Priest in conjunction with the Principal and staff. Preparation courses for the reception of the Sacraments are arranged and conducted by the parish community where you worship. Children’s Religious Education books will come home regularly for children to complete and parents to discuss and comment in writing on their learning.